Was $3299 sale set price $2279!!! 2. Beautiful multi-step lacquer finish with natural top coat and a dark stain base to enhance natural wood grain. 4. Oversized custom iron pulls are unique and comfortable to use. 6. As an extra feature the DSR is lined with microfiber . 7. Oversized drawers with generous room for storage. 8. Heavy, hand forged iron bases with a streamlined styling and nail-head detail on each leg. 9. Headboard and footboard feature nail-head trim. 4. Unique design with rustic appeal. 6. Protects delicate clothes. Durable micro-fiber will not tear or scratch like felt lining does. 7. Deep drawers on all case pieces add functionality. 8. Adds the value of hand forged iron. 9. 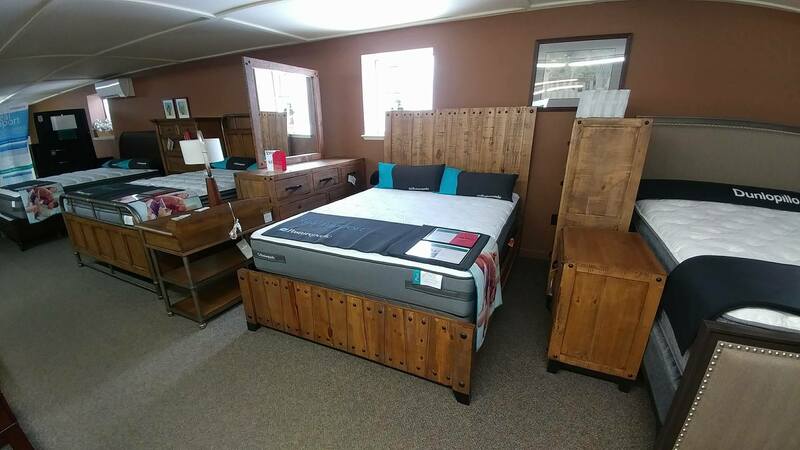 Adds unique rustic look to this bedroom collection.